Carlo Ancelotti joked ahead of Der Klassiker that as a 34th birthday present to Franck Ribery, they would pretend it was his 27th. And that’s how the Frenchman performed against Borussia Dortmund. Click here to sign Ribery for your Official Fantasy Bundesliga team! Outsprinting players much younger than himself, Ribery was a constant menace drifting in off the left wing for Bayern. The Frenchman opened the scoring in just the fourth minute to set the champions on their way before setting up partner in crime Arjen Robben for the third, again just four minutes into the second half. Of course famed for his attacking work, Ribery put in a shift all over the pitch, winning the third-most number of duels for either side before being replaced with a quarter of an hour to go. Will he now race away with the #BLMVP prize? You decide! 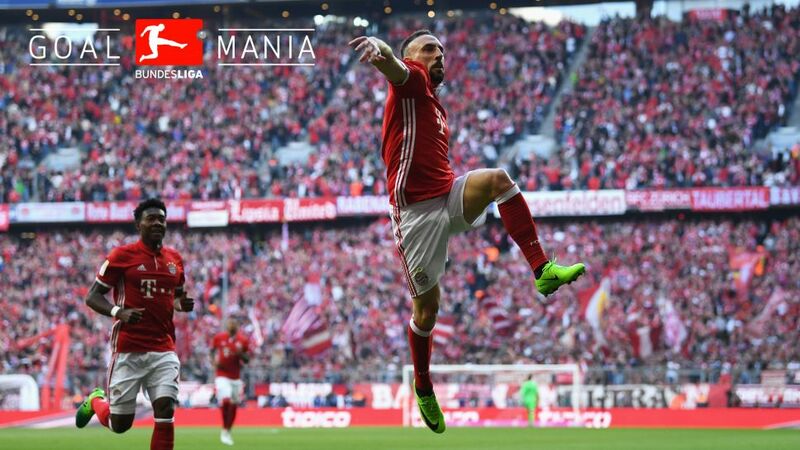 Ribery’s goal was Bayern’s quickest of the season and his fastest for eight years.His nine assists in the Bundesliga this season is three times his total from 2015/16.The Frenchman now has 110 competitive goals for the record German champions – 11th on the all-time list and just three behind Mario Gomez.